With Donald Trump leading the polls ahead of Tuesday’s primary contests, some in the GOP are seeking to stop him by any means. Marco Rubio called on voters to back Ohio Governor John Kasich in that state’s primary, already plagued by confusing ballots. The Ohio primary is already steeped in controversy, as voters have complained about the Republican ballots. In 2015, the state GOP changed its rules on allocating delegates, going from a district-based proportional system to a winner-take-all approach. 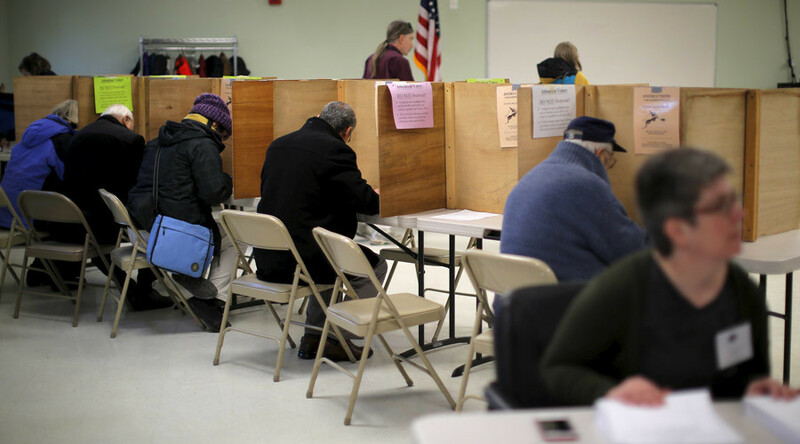 The current ballots, however, reflect the old system, with Republican voters being asked to make their selections twice: for at-large delegates and those apportioned by district. "The Republican primary ballot is very confusing," Rob Walgate of the American Policy Roundtable, a conservative nonprofit, told WKYC in Cleveland. "They have places for each. But if the winner takes all, how do you determine a winner? Do you take at-large delegates and district delegates? Can you vote to split them?" The group’s video highlighting problems with the ballot is attracting a lot of attention. "I know very little about this. I was just aware last week when I saw it on Facebook," said Cuyahoga County Elections Director Pat McDonald. "If you like a candidate, vote for them at-large and for district delegates...Why the hell would anyone vote twice [for different candidates]?" Matt Borges, Ohio GOP chairman, told WKYC. However, both Borges and McDonald confirmed that only the at-large portion of the ballot will count. On Friday, Florida Senator Marco Rubio added to the controversy, by urging Ohio Republicans to engage in tactical voting. “I’m just stating the obvious, if you’re a Republican primary voter in Ohio and you want to beat Donald Trump, you’re best chance in Ohio is John Kasich, because John Kasich is the sitting governor and he’s closest to Donald Trump in some of the polls there,” Rubio campaign spokesman Alex Conant said on CNN. “The same is true here in Florida, where if you want to beat Donald Trump here in Florida where there’s 99 delegates at stake, you need to vote for Marco Rubio because he’s the only one with a mathematical shot,” Conant added. Kasich’s campaign, however, rejected Rubio’s offer of a temporary alliance. "We were going to win in Ohio without his help, just as he's going to lose in Florida without ours," campaign spokesman Rob Nichols told reporters. National poll averages show Trump with a 36 percent to 34 percent lead over Kasich. In Florida, Rubio is mustering only 26 percent of support, while Trump is at 40 percent. The billionaire businessman seemed confident of victory in both states. 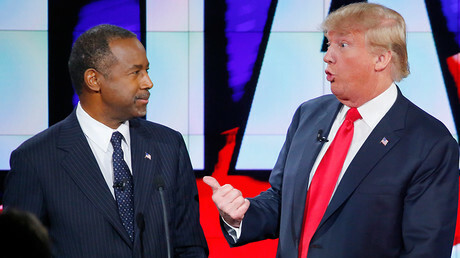 “I think if I win those two, it’s over,” Trump told CNN’s Anderson Cooper on Thursday. Trump has also been endorsed by two former candidates, New Jersey Governor Chris Christie and retired neurosurgeon Ben Carson. Until the real-estate mogul entered the Republican race last July, most observers expected a contest between Hillary Clinton and Jeb Bush this November. Savaged by Trump’s mocking “low energy” dismissal, Bush dropped out of the race last month after a defeat in South Carolina, while Clinton has faced an unexpectedly strong challenge from Vermont Senator Bernie Sanders. Polls are showing Clinton with a 30-point lead over Sanders in both Ohio and Florida.